This is a test day for racers and guys with seriously quick cars(with lots of track experience) that want to work on their setup. The next day is the BMW CCA VIR race so test session will be open passing – like in a race. But if you want to work on your car’s setup this could be the day for you. If you want to arrange some one on one instruction, you can hire some of the fastest guys in BMWs through Bimmerworld to get you faster. Contact James at the email below. The bullet points are from Bimmerworld’s website where you sign up. Its limited to the first 30 that sign up but the guys got roughly 4 hours last year and it looks to be the same this year. The full schedule should be available soon but you can sign up now. 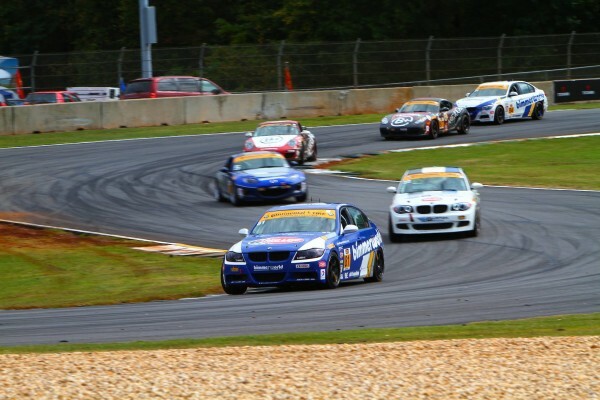 This is a test day, the Thursday before the April VIR BMW Club Race, with the goal of working on car setup and learning the track if needed. We will be sharing the track this year with the BimmerWorld Club Race School participants, and our group will have approximately 4 hours of dedicated track time. Private and semi-private coaching will be available at an additional charge. Email james@bimmerworld.com for additional information. All drivers must have a race license to participate. Sessions will be run under full race rules – all safety gear is required and points for passing are not, with the exception that approved passengers will be allowed (also in full race gear). We will have a full compliment of corner workers to maximize safety. Any unsafe conduct is subject to dismissal with no refund. This is testing and absolutely no contact will be tolerated. Price is per car/driver. Additional drivers per car and additional cars per driver will incur an additional charge. VIR does not allow fuel from outside the track. Their prices at the track pumps are reasonable. Participation will be limited to approximately 30 cars to maximize quality track time. Therefore enrollment is first-come/first-served, and no refunds will be given unless the day fills and your slot is filled by another qualified participant. Any on-track activity is performed at your own risk. We will do our best to provide a safe environment, but your safety is ultimately in your hands. Paddock move-in TBD (Last year it started at 5:30 PM on Wednesday for test day participants only). Your parking spot will be yours through the weekend, so please park in allocated sections (to be announced). Ken Block’s Hoonigan Racing Get’s Ford Factory Backing!